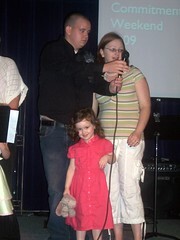 During the Sunday morning service, Justin and Sarah dedicated Chloe. When Chloe got on stage and the lights were on her, she began to smile at "Her audience". We thought she was going to break out into a circus routine! 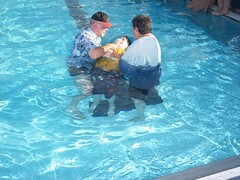 Then, yesterday evening there was a church baptism/pool party/barbecue. 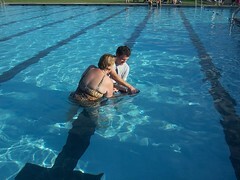 Kaity and Khi were baptized. 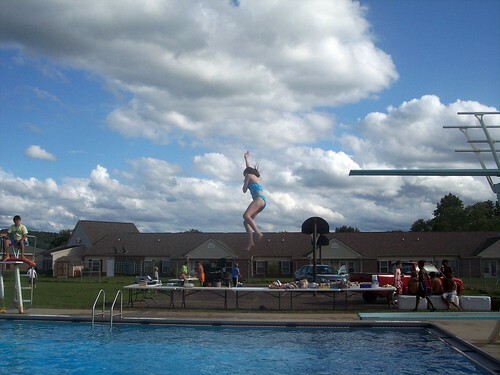 Kaity mustered the nerve to go off the high dive for her first (and several more) times! Kaity also spent time playing with Chloe at the shallow end. Aside from the beauty and importance of the baptisms, one of the highlights of Dedication Weekend each year is the boat race. 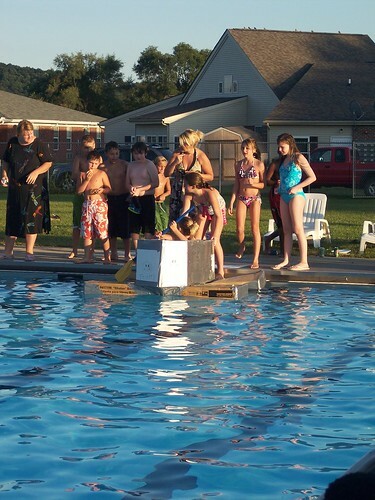 Groups of Jr. High and High Schooler's make boats out of Cardboard and Duct Tape! Kaity's group had a great design! 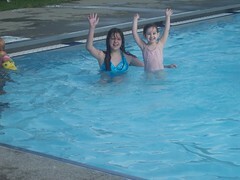 Theirs made it all the way across the pool!